When can kids with hand, foot and mouth syndrome return to school? « Howard J. Bennett - Pediatrician and Author in Washington, D.C. When can kids with hand, foot and mouth syndrome return to school? Most children contract hand, foot and mouth syndrome before kindergarten. 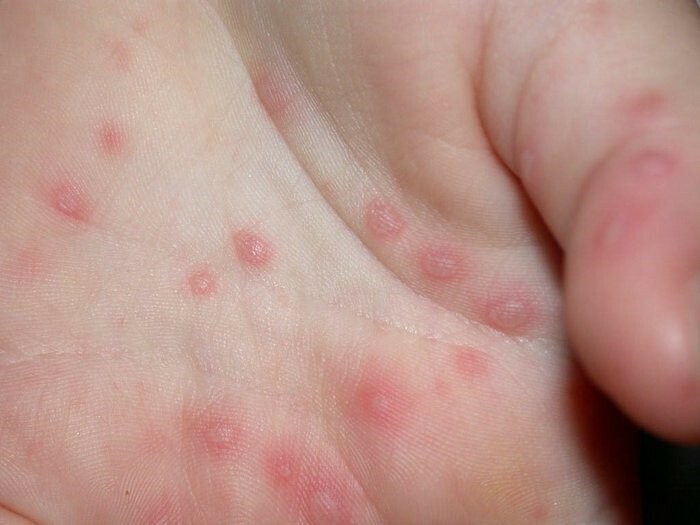 The infection is usually caused by a member of the Coxsackie virus family. It typically presents with fever, sore throat and small blisters on the palms and soles. Some strains of the virus also cause a red bumpy rash on the body. The treatment is the same as it is for most viral infections: rest, fluids and fever control. When I see kids with hand, foot and mouth syndrome, parents usually ask two questions. (1) How long is the child contagious? (2) When can she go back to daycare or school? The answer to the first question surprises parents. They’re contagious for 2 to 3 weeks after they get sick. The answer to the second question surprises them even more. Kids can return to school as soon as they feel better. What? How can doctors send kids back to school when they’re still contagious? The rationale for this is simple. Up to 20% of children with hand, foot and mouth syndrome are asymptomatic. This means they contracted the virus and are spreading it to others even though they’re not sick themselves. That fact, combined with the long contagious period, means keeping kids home will have no impact on the spread of the disease. That’s why we send them back when they feel better. This entry was posted in Dr. B's Blog and tagged fever, infectious disease, skin. ← What type of shoes should you buy for a 1-year-old?